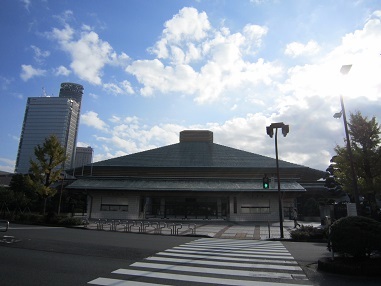 The Kokugikan was opened in 1985. This structure can withstand an earthquake of up to a magnitude of 10. It’s kind of symbol of those sturdy sumo wrestlers. Chanko-nabe is sumo wrestlers’ rich pot dish. A variety of ingredients such as pork, chicken, fish, wheat noodles, deep-fried tofu,and vegetables are cooked in large pot. Sumo wrestlers often eat Chanko to make themselves bigger and stronger.